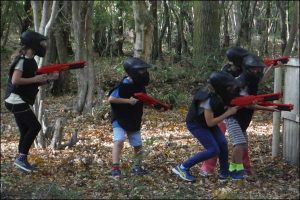 Come and play paintball, tactical laser tag with your friends and colleagues at our purpose built, 31 acre site in Layer Marney on the outskirts of Colchester, Essex. With great road links, the site is easy to get to by car (or coach/bus for large parties/corporates/schools) with lots of parking available. 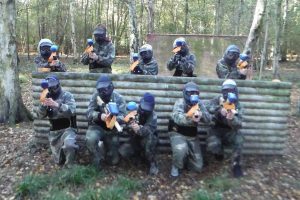 Established over 20 years ago, Gunsmoke Paintball is a family run business and as keen paintballers and laser tag players ourselves, we aim to give you an excellent experience and great value for money. 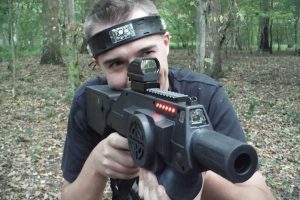 A new addition to the activities at our site is Tactical Laser tag, this is more Call of Duty rather than Quasar! 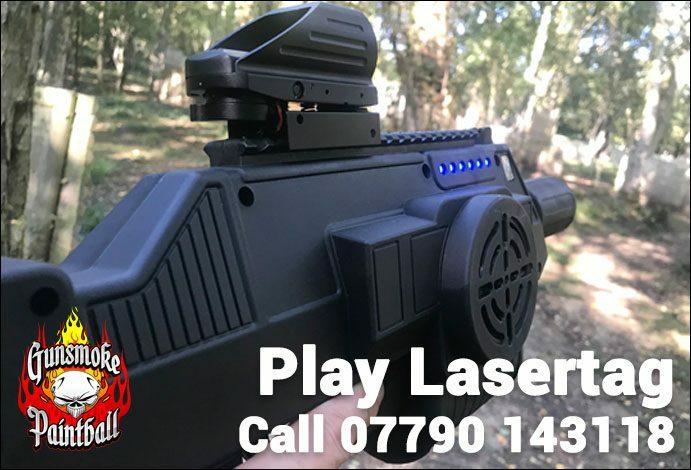 We are also the first site in the UK to be using the new state of the art Battlefield Rifle Pro laser tag marker with an accurate range of about 600 ft, with lots of different modes and weapons to choose from, you will have an excellent session. Check out the pages on the website for more details about the activities available at Gunsmoke Paintball. 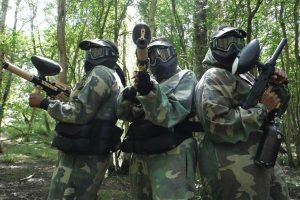 Come and play paintball with your friends and colleagues. We welcome individuals, groups, schools, clubs, paintball parties, walk on players and more at our purpose built 31 acre paintball site. This is Call of Duty with a laser tag. Instead of playing on a console you can play for real outdoors. With a 600ft range, these lasertag markers are awesome! This is NOT QUASAR. Be the legend that you can be. 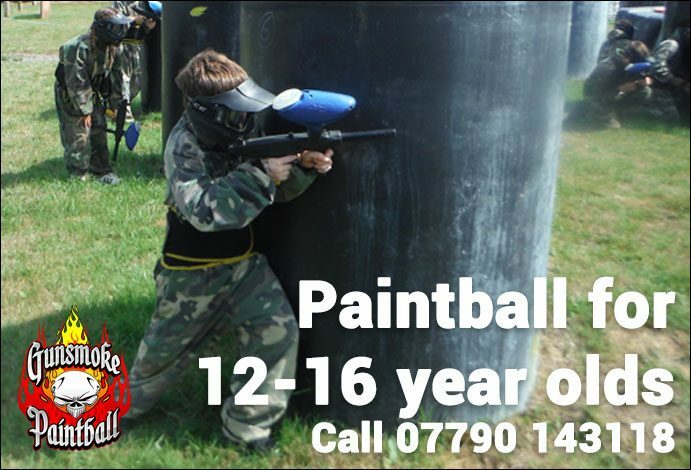 All the fun of regular paintball for younger players aged between 12 and 16 years old. 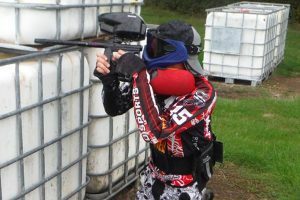 Junior paintballers are the future of the sport and we do everything to encourage them to get to have a great time playing paintball. It is also something parents can join in with too. Designed for 8 and 11 years old players, Gunsmoke Splatmaster kids uses low velocity JT Splatmasters that fire very fragile paintballs, This is a safe and low impact alternative to regular paintball. Parental consent needed and an adult must be in attendance. 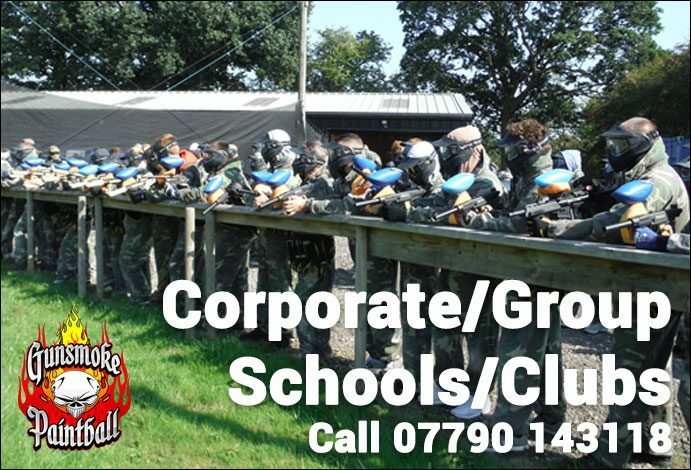 Gunsmoke Paintball is the perfect venue for schools and youth organisations/clubs. We can cater for large numbers and have everything on site that you are likely to need. Ample parking for vehicles/coaches, indoor safe area with catering facilities, toilets and more. 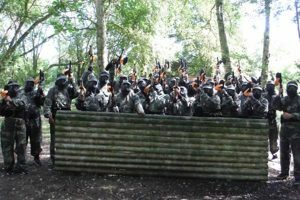 Gunsmoke Paintball is the ideal site for hosting your corporate paintball teambuilding day out. We have a large venue with plenty of parking and facilities to make your corporate team building day one to remember. 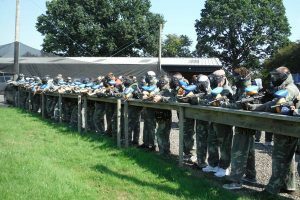 Bring your stag or hen group to Gunsmoke Paintball ahead of your big day and have a fun packed time with your mates. 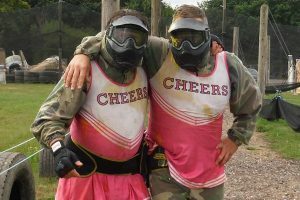 Paintball is a great sport and gives everyone the opportunity to work as a team but also have a lot of laughs along the way. 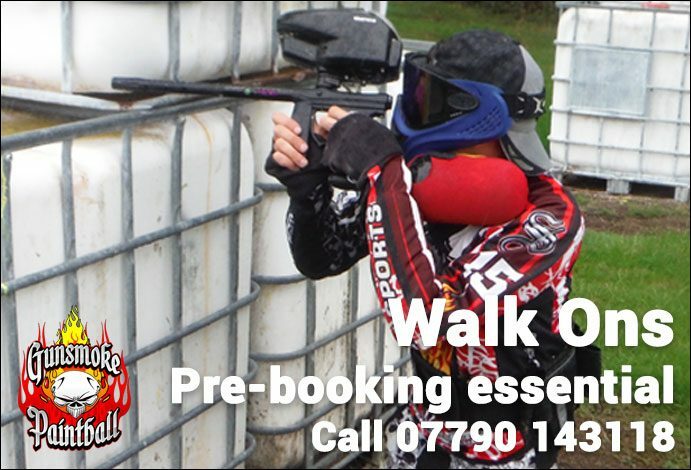 The last Sunday of each month is for walk on players and teams and you will need to pre-book. We can also supply you with everything you need to play if you need it too. Pre-booking is essential. 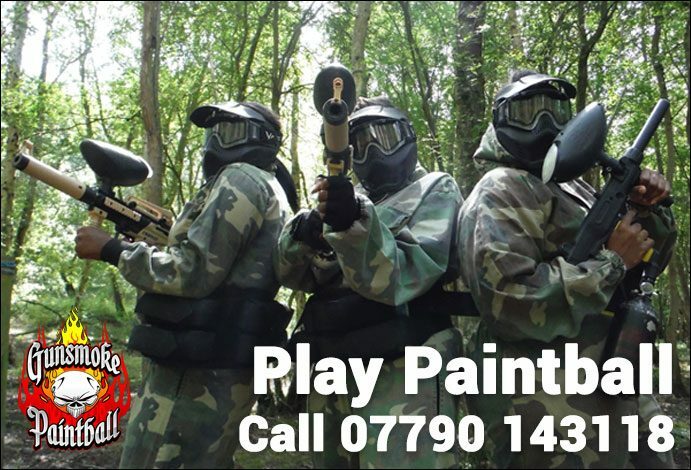 Our site is located at Gunsmoke Paintball in Maldon Road, Layer Marney just outside of Colchester in Essex and on the main B1022 road to Layer Marney. 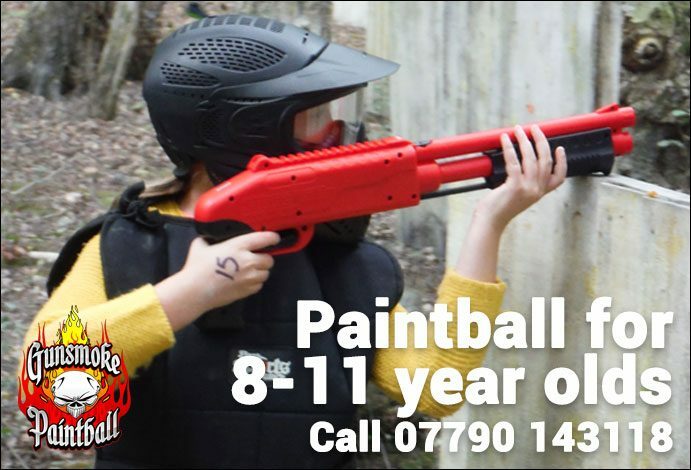 If you would like to make a booking, or have any questions, please contact Julie on 07790 143118 or alternatively email Julie@gunsmoke-paintball.co.uk or simply use our online contact form below.